If you were stopped on suspicion of drunk driving in the State of New Jersey, it is likely that you were asked to perform field sobriety tests. The bad news is that these tests may be admissible in court as evidence against you; however, the good news is that an experienced DWI defense attorney might be able to challenge the reliability of the tests used in your case. The Tormey Law Firm specializes in DWI / DUI defense. We have represented countless clients charged with DWI offenses in Belleville, Millburn, and everywhere else in Essex County. Of course, the firm’s credentials and expertise in this area of law go far beyond our experience in the courtroom. 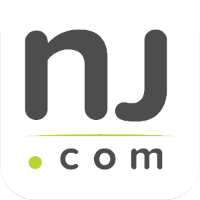 The firm’s founding partner, Travis J. Tormey, is certified in the operation of the Alcotest 7110, the breath test used in all New Jersey DWI cases. Additionally, our DWI litigation team includes a former county and municipal prosecutor and an ex-NJ State Trooper who is an expert in field sobriety testing. Our expertise and resources will allow us to help you avoid the most serious DWI penalties. Contact the Tormey Law Firm now at 201-654-3464 so that a member of our team can look over your file and start your defense. The three most commonly administered field sobriety tests are reliable in identifying a driver with a blood alcohol concentration (BAC) of .10 percent or higher. However, a person can be charged with Driving While Intoxicated in the State of New Jersey if they have a BAC as low as .08 percent. The margin for error here creates a very real possibility that the field sobriety test used to establish probable cause in your DWI cases was inaccurate. 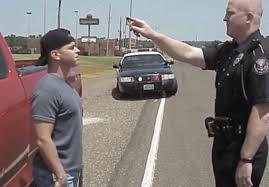 Field sobriety tests are also subject to human error because their accuracy depends in large part on being administered in a prescribed and standardized manner. When a police officer deviates from standard procedure, field sobriety tests become even more unreliable. An experienced DWI defense lawyer can highlight mistakes by law enforcement and challenge the existence of probable cause in your case. The knowledgeable lawyers at the Tormey Law Firm are prepared to help you beat your DWI / DUI charges. Our experts know how to challenge the results of a field sobriety test and undermine the prosecution’s strongest evidence. Call us today at 201-654-3464 to discuss your case, or fill out the online contact form to arrange a free consultation at our office in Newark.